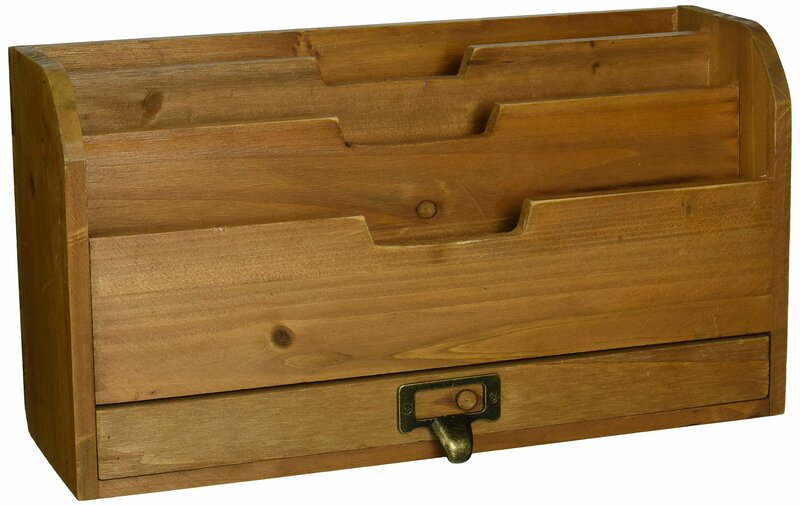 Home › 3 Tier Country Rustic Vintage Wood Office Desk File Organizer Mail Sorter Tra..
3 Tier Country Rustic Vintage Wood Office Desk File Organizer Mail Sorter Tra..
Three compartments with graduated dividers allow for easier visibility and retrieval of files, mail, photos, and other important documents. A bottom drawer with rustic metal handle provides additional storage for smaller items such as pens, pencils and note pads. Approximate Dimensions: 12" L X 4.75" W X 7.5" H.